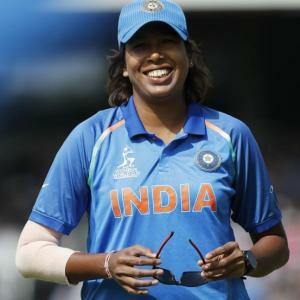 From bunk beds and unreserved train tickets to staying in five-star hotels and flying business class, women’s cricket has undergone a ‘massive’ change, feels one of its biggest stars Jhulan Goswami. ‘I remember staying in an accommodation with bunk beds for my first World Cup, in 2005”For domestic matches, we often travelled unreserved in trains’From bunk beds and unreserved train tickets to staying in five-star hotels and flying business class, women’s cricket has undergone a ‘massive’ change, feels one of its biggest stars Jhulan Goswami. Jhulan, the only bowler in the women’s game with over 200 ODI wickets, reflected on her time in international cricket and also looked ahead to the upcoming ICC Women’s World T20 in the West Indies starting November 9. This being the first ever standalone Women’s World T20, Jhulan feels it will generate more publicity. “I was a part of all the previous ICC Women’s World T20s right from the first one in 2009. On the previous world events being held simultaneously with the men’s tournaments, she added, “Before the semifinals, people would not be aware about the women’s games, as only the semifinals and the final were televised.